WHAT’S YOUR TRUMP STRATEGY? Companies typically turn to public relations firms for advice on dealing with issues such as product recalls, plant fires and malfeasance by board members. But now there’s a new PR nightmare keeping company executives awake at night: An attack from the president. 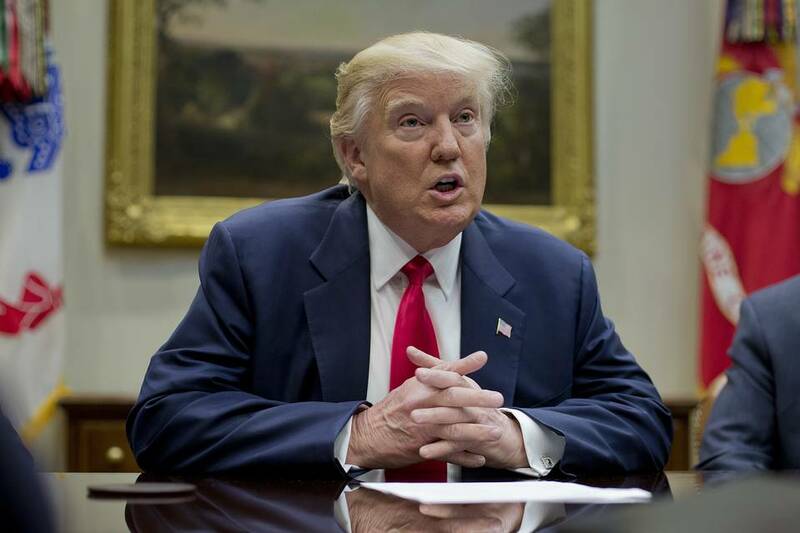 As Donald Trump bashes auto makers like General Motors for manufacturing cars in Mexico and criticizes Nordstrom for dropping Ivanka’s fashion label, U.S. companies are increasingly worried about being prepared for the fallout from an unexpected Trump tweet. That’s good news for public relations agencies, which say they’ve seen an influx of business in the past few months from companies happy to pay for their very own “Trump strategy,” CMO Today reports. While the president and his administration dominate the news cycle, it’s also proving harder for companies to pique the interest of major media outlets with story pitches about product launches and other company news. Luckily, PR firms say they’re happy to lend a helping hand. SNAP UP A STAKE: NBCUniversal revealed last week that it invested $500 million in Snap Inc. as part of the company’s initial public offering. But the big question is what, exactly, NBCU hopes to gain from its “strategic investment” in the mobile messaging company. The Snap stake doesn’t give NBCU any special privileges, The Wall Street Journal reports, but the media company’s executives hope to strengthen ties with the young company and maybe be the first call Snap makes when it’s looking for partners to trial new media and ad products. After investing in content-centric digital media companies like BuzzFeed and Vox in recent years, NBCU was eager to get closer to a major distributor. As opposed to Facebook or Google, NBCU executives came to view Snapchat as the most friendly to media companies, in part because it allows NBCU to sell ads against its own content on the platform. Meanwhile, the Journal reports that Snap’s shares have also been popular among millennial investors, many of whom happen to be avid users of Snapchat. DISPUTED NEWS: In an attempt to slow the spread of intentionally false news across its platform, Facebook has begun labeling links to some articles as “disputed,” Recode and Gizmodo report. In addition to a red warning label underneath links to dubious stories, Facebook is also directing users to pages on fact-checking sites such as Snopes and PolitiFact explaining why the content might be misleading. A story might be marked “disputed” if users report it as inaccurate and then at least two of Facebook’s fact-checking partner organizations agree. But, as Recode points out, the downside of the system is that Facebook doesn’t want to make these calls on its own (even the easy ones), and relying on others slows things down. Facebook first announced the plans to use third-party fact-checkers in December, and also announced a tweak to its trending topics box to ensure only topics appear there that have been covered by a significant number of “credible” publishers. AMAZON’S SEARCH: For a $37 billion market, the search advertising business is a relatively uneventful one. That’s because Google has for years dominated online searches and, as a result, search ad spending. But there’s a chance that could be about to change, CMO Today reports, as Amazon and Pinterest step up their efforts to capture marketers’ search advertising budgets. Amazon isn’t about to launch a dedicated search engine anytime soon, but it’s spent the past few years quietly rolling out a handful of products designed to help marketers place their products and services in front of consumers as they search for things on Amazon. Meanwhile, Pinterest is also vying for attention from advertisers with a new, more visual search ad product that it hopes will reach consumers before they decide what they want to buy and turn to Google’s search box to find it. There’s a lot of hype around virtual reality, but marketers are finding that creating videos for VR devices can be expensive and that audience reaction to their efforts can be tepid. Google Home, the search giant’s voice-activated virtual assistant, could be reading users “fake news” and other inaccurate information when they ask it questions about politics. A network of right-wing media outlets anchored around conservative website Breitbart strongly influenced the broader media agenda in the run-up to the November election, according to a new study by Columbia Journalism Review. Digital ad spending in the U.S. overtook TV advertising in 2016, based on some estimates. But according to Turner CEO John Martin, TV is seeing a resurgence as marketers redirect their ad money from digital channels back to TV. Time Inc.’s refreshed C-suite is plotting the storied magazine publisher’s future, as potential acquirers circle the company and its stable of titles fight to maintain relevance in the digital age. Vox Media-owned sports blog network SB Nation appointed its first editor in chief as it chases further growth. One of the company’s strategies to reach sports fans is to publish more video natively on social media sites. The idea of fusing “content and commerce” businesses was in vogue in 2010, when male-focussed lifestyle website Thrillist bought flash-sale site JackThreads for $10 million. But, in practice, fusing the two business models wasn’t as easy as the companies had hoped. Social networks and online publishers are experimenting with ways to reduce unpleasant comments or “trolling” on their properties. One Portland startup forces anyone who wants to comment to first evaluate other comments for civility, for example, while a Norwegian website is quizzing users to ensure they actually read an article before they’re allowed to comment on it. WHAT’S YOUR TRUMP STRATEGY? Companies typically turn to public relations firms for advice on dealing with issues such as product recalls, plant fires and malfeasance by board members. But now there’s a new PR nightmare keeping company executives awake at night: An attack from the president. As Donald Trump bashes auto makers like General Motors for manufacturing cars in Mexico and criticizes Nordstrom for dropping Ivanka’s fashion label,..